I hope you all had a wonderful Thanksgiving with your loved ones. We spent a cozy day in our downsized little apartment with our family. 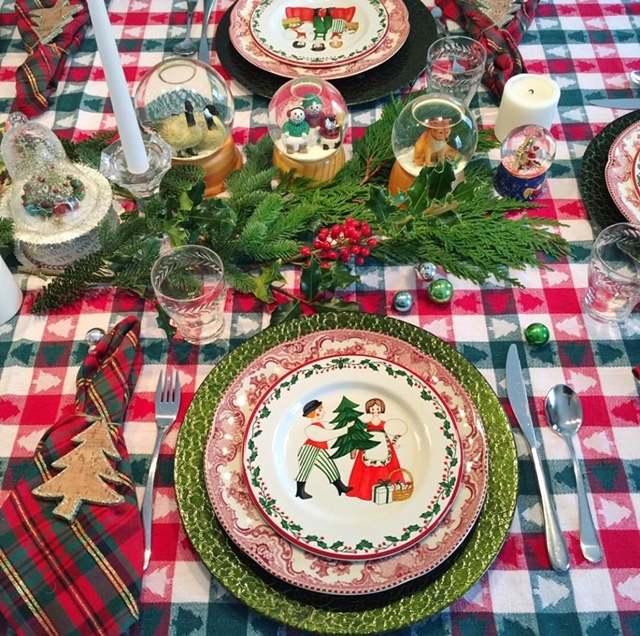 Was it the Pinterest perfect Thanksgiving with the perfectly decorated table? Not by a long shot. Was it a fun day full of family and love? Absolutely. No one wants to think about downsizing during the holidays but if you are planning on downsizing in 2018 these are my three tips for what you should be doing now during the holiday season. 1.Savoir every moment. Last Christmas, I had a gut feeling it would be the last holiday season we celebrated there. I took the time to go all out with my decorating and I spent many hours admiring and enjoying the fruits of my labor. I sat in front of our tree every night with a glass of wine and soaked in every moment. If you think this might be your last holiday season in your home then be consciously grateful everyday during the holidays. Last year at this time we knew we were ready to move on so I silently said goodbye to all the things I had enjoyed about having a large house. 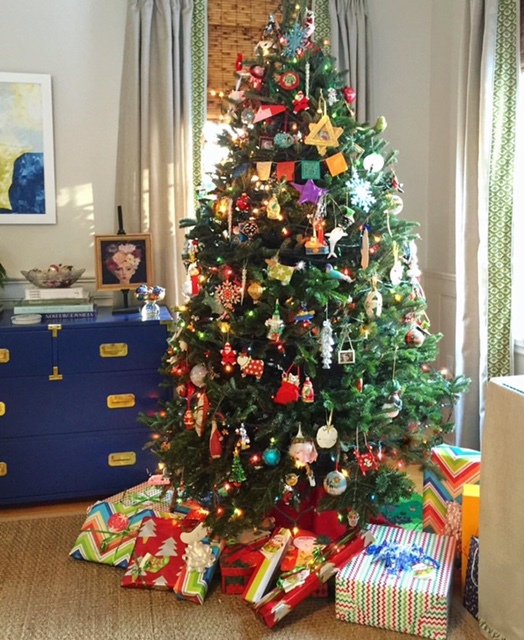 I silently thanked my formal dining room and my large family room that held a tall full tree. I thanked my big kitchen and my large extended table that held all my guests along with all the food. I went all out decorating for Christmas breakfast and it was just four of us! In years past we had just eaten in the family room while opening gifts. 2.Donate, toss or sell holiday decor NOW! I know I sound like the Grinch talking but this is the reality of downsizing regarding holiday decor. Unless you have the perfect scenario where your adult children have recently bought a home and are thrilled to take all your decorations (most likely not the case) you must sell or donate now. Otherwise you risk missing your window of sale opportunity. Very few people are interested in holiday decor after the celebrating is over. So unfortunately you will have little to no luck selling things on Craigslist, eBay or whatever market place you chose. Also, many charities either no longer accept holiday decor or they only take it during the months of November and December. You don’t want to be in a panic right before your move when your only option is to pay for storage or throw your decorations away. After thirty plus years of collecting (everything from vintage Christmas snow globes to nutcrackers and ornaments) I had over 16 large boxes of holiday decor. It pained me terribly to donate what I spent so much time collecting. The reality is that I couldn’t take 16 boxes with me to our small apartment. Make a decision how much you can realistically bring with you when you downsize. In my case I thought I could take three boxes. In reality, it’s half of one box. We will most likely only have a small tree and maybe a decoration or two on the coffee table. I’m in the process now of letting go of the rest. 3.Take photos, lot’s of photos. One of my regrets is that I was so busy getting the house ready to put on the market that I didn’t take “before” photos.Shortly after the holidays the house was turned upside down with packing. It was then staged and looked nothing like it did when we lived there. I do have the Real Estate photos but it’s a staged house with no personality. Get out your camera and document everything. You won’t realize how much you will enjoy looking back on your previous life in your big home. I will admit, the holidays are difficult after you’ve drastically downsized like we have. There is no room for my sons to spend the night on Christmas eve and no decorating the front yard trees with white lights. My traditional baking of Christmas cookies will be simply too difficult with no counter space in my small kitchen. Given the choice though I would not go back to living in a big house. The benefits of our new small living lifestyle far outweighs the few things I miss around the holidays. I also think it will get easier every year. I’d love to hear from you if you’ve downsized. Did you find the holidays challenging? Great suggestions. We are in the midst of down-sizing. I call it the “dreaded down-sizing.” We are finally out of our old house. Luckily, I have always taken many photos at all times of year. And, luckily, I printed copies of many of them. Somehow, I lost a few years on my cell phone photos and could not retrieve them from my phone. Back-up those photos! We are still in a huge mess, and our daughter will be moving soon, too. Since we will help her as she has helped us, we do not plan to decorate much at all. That’s OK. We will enjoy the beautiful decorations elsewhere. And, I have to say, I think we need to cherish every year and enjoy and try to be present with friends and family as much as possible. I still have friends by for a glass of tea (we live in Dallas) or a glass of wine, even in the midst of the chaos. My inviting friends by is huge for me since I am probably too much of a perfectionist and need to “chill” more. Here’s to a holiday season of laughter and moving on, in more ways than one. Blessings to you and yours. Beautifully said sally. I too am going to enjoy having the time to take in the Christmas lights around Boston. In years past we were always so busy getting our own home ready that we never made it to a tree lighting event or even into Boston to enjoy the season. This year I have a list of fun activities I plan to partake in, starting with this coming Saturday when we will go to a local seaside town’s Christmas Stroll. Enjoy! Thank you for sharing your experiences. Paul and I are having a house built this coming year and we both need to part with stuff we’ve collected. He recently moved in with me after selling his house, so we have a lot of work to do! I wish you the absolute best Nancy. Even though it is a joyous occasion that you are building a home and combining your belongings it still makes the task daunting of getting rid of half of your possessions. I love this post. What a nice reminder to live in the moment. Perfect sentiment for this time of year! Thanks Carla. Since decorations=clutter, I am forced to get out and do Christmas oriented activities to get my holiday “fix”. That’s not a bad thing! I too am spending the holidays with my husband in a 1-bedroom apt waiting for our townhouse to be ready. After 30 years with space to host family & friends this has been a wonderful learning experience that simple is better and so freeing. (I would not have thought this 4 months ago!). My goal now is to move from the apartment with less than I had when we moved in. Happy Holidays! I’m on the same page as you Diane. I’m working to get rid of even more before our next move.its strange but I’m not even feeling the need to have more than a small table top tree.